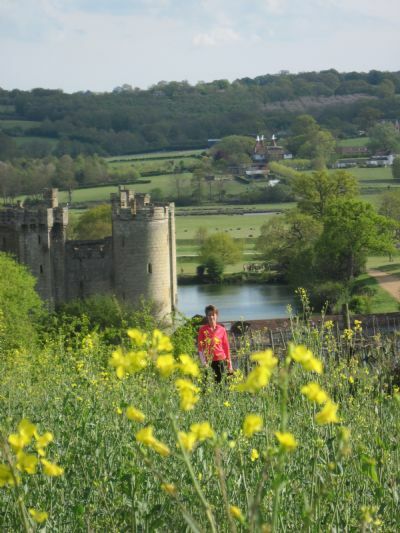 14 superb routes for walkers, dog walkers and runners in the 1066 area, which is famed for its stunning scenery and wealth of local history. They include the picturesque towns of Battle and Rye, the impressive castles of Bodiam and Herstmonceux, and the glorious gardens at Great Dixter in Northiam. Recommended by 1066 Tourist Board. There are also many relatively "undiscovered" routes which will enable you to enjoy this magnficient countryside at its best! These include the Brede and Tillingham valleys, Rye Harbour Nature Reserve and the Royal Military Canal at Pett. Superb photos accompany each route, together with easy to follow hand drawn maps and interesting snippets of local history. Routes vary from 3 - 9 miles in distance, and are graded for degree of difficulty. Click onto the website LINKS for extensive details of local tourist offices, wildlife attractions, hotels, guest houses, camping and caravan sites. Price £10.99 plus postage, but free local delivery within Battle and Hastings areas.